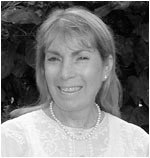 Elaine Gordon is a Clinical Psychologist with a specialty in infertility, child development, reproductive medicine, and third party family building. Besides her role as a therapist and group facilitator working with patients struggling with fertility related issues, she lectures on various topics surrounding the psychology of reproductive medicine. Dr. Gordon is the author of "Mommy, Did I Grow in Your Tummy? Where Some babies Come From," a children's book dedicated to explaining a child's unique reproductive beginnings. Her professional associations include The American Psychological Association, The American Society for Reproductive Medicine, and the Pacific Coast Fertility Society. She has served as the educational chair for the Psychological Special Interest Group and participates on various group committees. Dr. Gordon's clinical work involves individual therapy, group process for couples and individuals, staff training for programs involved in reproductive medicine and third party screening and evaluations. She also counsels birthmothers and prospective parents who are considering adoption. Dr. Gordon is well versed in both the medical and psychological aspects of reproductive medicine utilizing third parties. Her involvement in egg donation and surrogacy programs has stimulated an interest in the issues surrounding secrecy and disclosure in third party parenting. Related to the disclosure/nondisclosure issue is the need to assess the advantages and disadvantages of open versus closed donation policies. She lectures on disclosure policies and how you talk to children about non-traditional family building with a special focus on family health issues. Throughout her career in psychology, she has become increasingly concerned about the ethical and moral dilemmas in reproductive medicine. She has co-authored a chapter entitled 'Legal and Ethical Aspects of Infertility Counseling' in the textbook Infertility Counseling: A Comprehensive Handbook for Clinicians. Dr. Gordon is currently involved in several research projects investigating the psychological implications of using egg and or sperm donation as a means of building families. She continues to work toward collaborating with other team professionals (medical and legal) in establishing a "standard of care" practice for infertility patients and third party participants.